Debates about military influence on civilian government tend to be partisan and rarely pay sufficient attention to specific contexts. This paper analyses, without condemnation or justification, why and how the military exercises such influence in Turkey and whether it is likely to continue to do so. It argues that the role of the military in Turkey grows out of a specific Turkish context and is more a symptom than a cause of the country's flawed democracy. 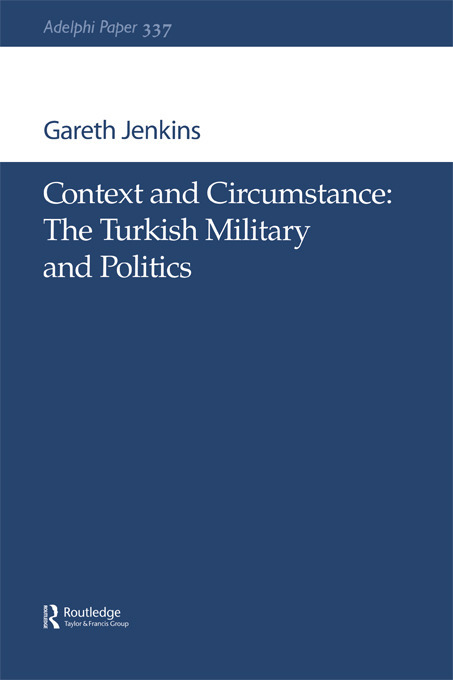 It examines the Turkish officer ethos, particularly the role of the indigenous ideology of Kemalism, and the broad, though not universal, public mandate for an interventionist role in politics. It contends that the military's influence is neither uniform nor total and that it is more effective at blocking than initiating policy; thus creating a system in which civilian authority is primary rather than supreme. It analyses the mechanisms through which the military attempts to shape policy, and demonstrates how its influence depends more on its informal authority than legislated rights or responsibilities. The paper suggests that fears of threats to national security resulting from the reforms required for EU accession have made the military more, not less, reluctant to withdraw from the political arena. It concludes that, regardless of the future of Turkey's candidacy, such a withdrawal will be a slow and gradual process, dependent more on changes in Turkish social and political culture and the perceived security environment than in the military itself.